Obesity and overweight have in the last decade become a global problem with some of the world’s fattest countries, belonging to the GCC. A research study published by the BMC public health, reported on 20th June 2012, placed Kuwait as the heaviest country in the Middle East followed by Qatar Egypt, UAE and Bahrain respectively amongst the fattest nations on earth. The average person in Kuwait, the second fattest country in the world behind the United States, weighs in at approximately 77.5 kg, 15.5kg heavier than the global average, according to a research report published by BMC Public Health. Among the factors, fast food is very popular amongst teenagers as it is an easy accessible source of daily meal and this is causing rapid increase of obesity in children and young adults. Fast food so rapidly has become a routine part of their daily lives that not consuming junk food often stands out as unacceptable. Families dining out in popular fast food restaurants, toddlers familiar since early age with French fries and coke, people lining up to get newly promoted types of sandwiches and having little idea how this food can effect health or decrease the life span of a person. Even the media plays a big role when it comes down to obesity. Children and teenagers spend most of their time viewing the Television or online that they become unaware of the subliminal messages being sent to them. We only see part of the message the advertisement is conveying to us. Constant viewing of these advertisements create a sense of mouthwatering temptations among the youth. The media is profit oriented in promoting junk foods, where the people needs and the consequences of eating fast food is not linked back to media. Education and teaching children about good eating habits at school and parents encouraging their children to do more physical activity, and using the media and celebrities to promote healthy habits instead of telling kids that soft drinks are ‘cool’, are the best ways to tackle childhood obesity which will in turn help reduce the obesity rate as they grow older. Living in the middle of the Sharjah arts area for a majority of my life, I feel it has grown with me. Now known as the ‘Heart of Sharjah’ within which the Corniche road is situated, it is the region’s biggest heritage project which began in 2010 with the aim of preserving the national historic landmarks in the emirate. It is being developed by the Sharjah Investment and Development Authority (Shurooq) whose aim is to reflect what Sharjah was like over half a century ago by 2025. 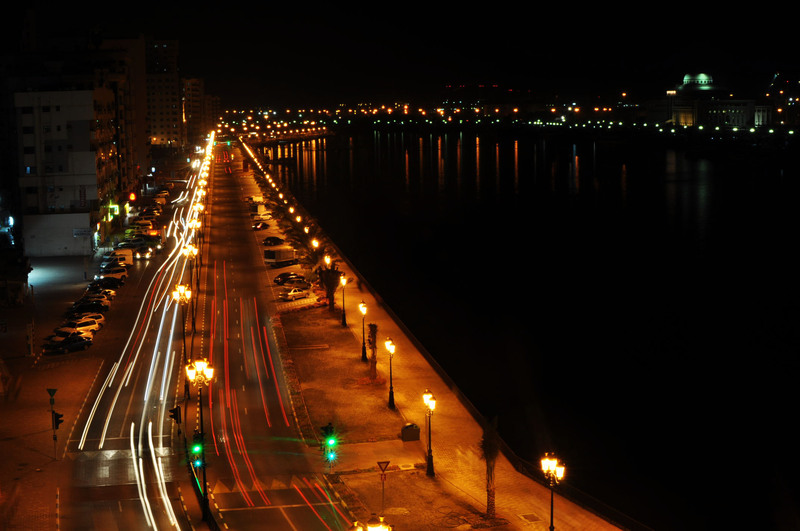 The Corniche road forms the waterfront of the Heart of Sharjah project, which is considered to be one of the region’s largest tourism and heritage projects. As a kid, every morning while waiting for my school bus to arrive I’d watch hardworking workers loading and unloading goods (which reminded me of passing the parcel at the time), never imagining that a day would come when that long row of boats across the waterfront would be gone. The transformation never seizes to amaze me. The busy port has now been transformed into a tourist and trade destination with modern contemporary artistic touches. People now go for their regular morning or evening strolls while children cycle across the waterfront. The sunset is breathtaking at times where you’d just wanna lean on the railing, have your cup of tea and and watch the sky cast that beautiful reddish hue across the horizon. The Heart of Sharjah is a five phase project that is expected to be completed by 2025, aiming to revive the historic and heritage area. Imagine what it will look twelve years from now! Here’s an analysis of one of my favourite quiz shows ‘Quite Interesting’ which I’d done as part of my TV Genre assignment. Its truly one of the most interesting and quirky quiz shows I’ve ever watched. QI is an abbreviation for Quite Interesting. It is a BBC comedy panel quiz television show that started in September 2003. Created by John Lloyd, the show is hosted by Stephen Fry and features permanent panelist and comedian Alan Davies along with a set of three other panelists that changes with every show. All panelists aren’t ordinary ones that usual quiz shows have, QI invites the country’s funniest men and women –all stand up comedians, making the show qualify into the category of classic edutainment. The format of the show was created by writer and former BBC writer, John Lloyd. 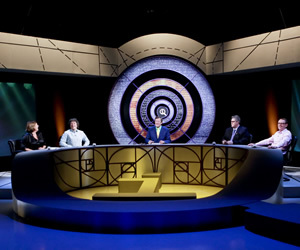 Hosted by Stephen Fry, the panel consists of four participants, three rotating and one permanent, Alan Davies, who’s seated to Stephen Fry’s immediate right. The duration of the programme is 30 minutes that is broadcasted on BBC Two. QI is a unique project that will last for 26 years, currently on its 10th year with each series covering topics that begin with a different letter of the alphabet. The first series covered topics whose word began with “A”. Therefore, it is referred to as “Series A” instead of “Series One”. Each series consists of around 12 episodes which are broadcasted every year between September and December, since 2003. The panelists are rewarded more if their answers are ‘quite interesting’. Any “quite interesting” answer may get a point, even if they are right or wrong, and penalties will be imposed for obvious wrong answers. There’s also negative scoring involved which are common. The total scores are only announced at the end of the show. Since it’s a 26 year long project, there will be a total of 26 series representing each alphabet. So far nine series have been completed, with the tenth one ‘Series J’ starting this September 2012. The show is pretty much the same, full of quirky facts, in which contestants are rewarded more if their answers are ‘quite interesting’. Therefore, the show will follow the same format and style until the end of the 26th series. The show was originally being seen as an “Annotated Encyclopedia … the world’s first non-boring encyclopedia.” The impact on the viewers is quite large and positive as it contains a strong combination of superlative comedy and interesting information that greatly appeals to its viewers unlike ordinary quiz shows. Below is an image that shows how the setting of the programme appears. All recordings take place at the London Studios near Waterloo station. The evening recordings start at 7:30pm. There are four panelists seated around the host (Stephen Fry- center), two on either sides of the table which is in the shape of a ‘Q’ that’ stands for ‘Quite’ and ‘I’ that stands for ‘Interesting’ which is within the ‘Q’. You have a large seated audience who watch the show live. The audience largely consists of a British audience as the show is based there. 1-Stephen Fry, the host, is able to show off his knowledge, intelligence as well as his incredible wit. He guides the quiz and creates an order when the jokes or question goes out of hand. He follows an unscripted session as each guest is on their own, the only scripted part is the list of questions he holds on his desk. Moreover, the questions aren’t shown to any of the guests beforehand. Fry is seen as an icon in the country, he has a strong following on twitter that equals to over a million people. 2-Alan Davies, is a British comedian, actor and a permanent member on QI. The host, Fry and Davies share an excellent chemistry on screen, throwing fits of laugher. 3-Other panelists are all stand up comedians. The element of spontaneity is obvious as they joke around with probable answers, which what makes the show amusing. In terms of invited guests, there have been several repeats during the series, most of them the audience favorites. The list includes 40 guests till date. These invited guests do get paid to be a part of the show. Being invited to the QI is quite an honor as they get to feature alongside Stephen Fry and be a part of the BBC comedy quizzing tradition. QI, unlike other TV quiz shows, has a 26-year-long project. Each series covers topics that begin with a different letter of the alphabet. Starting this September 2012 is ‘Series J’ which is the tenth series. The whole show is fully unscripted except for the questions which are prepared beforehand and are not shown to the quests until the show begins live. The show is full of unusual and quirky facts on the basis of which the contestants are rewarded more if their answers are ‘quite interesting’ unlike other quiz shows, whose priority is getting the answer right. This usual quiz format is found to be boring which is why adding humor is what is central to the programme’s flavor. It is the guessing, the teasing, wittiness and the amusing confusion that makes the show a success. The solution or answers are discussed in the most jovial manner and comments thrown back at each other with a sense of humor. What makes this quiz show different from other quiz shows is it comical nature. Each character has a personality which is radiated in the show. The emotions of each character, from the host to each of the panelists, contribute to the humorous outbursts during the 30 minute show. Therefore, together the host and the panelists throw fits of laughter to the audience. This quiz holds strong British values – its style is British in terms of its intellectuality that is distinctly trailed with its light sense of humor with each question posed by the host. Its lightheartedness is most appreciated because it’s not a quiz show like “Who’s going to be a millionaire” or India’s version of “Kaun Banega Crorepati” where you’re winning money. Here its for the sheer joy of playing the game, enjoying it (be it the audience or the players) as there is no pressure of any form and of course learning while you do it. Overall, the values are strong as it focuses on anybody interested in a good laugh and would like to learn something new. The target audience is primary with a live audience comprising mainly of British, as well as secondary as it is broadcasted on television. Episodes are also available to watch online on BBC iPlayer for international audiences. Audiences need to be educated and have that sense of humor to enjoy the show. 12.3.12- Etched in our minds. You will always be more than a memory. It’s been more than a week since the accident took place in Sharjah when we lost two of our dear friends, Mitthi and Maryam. This post is in dedication to them. 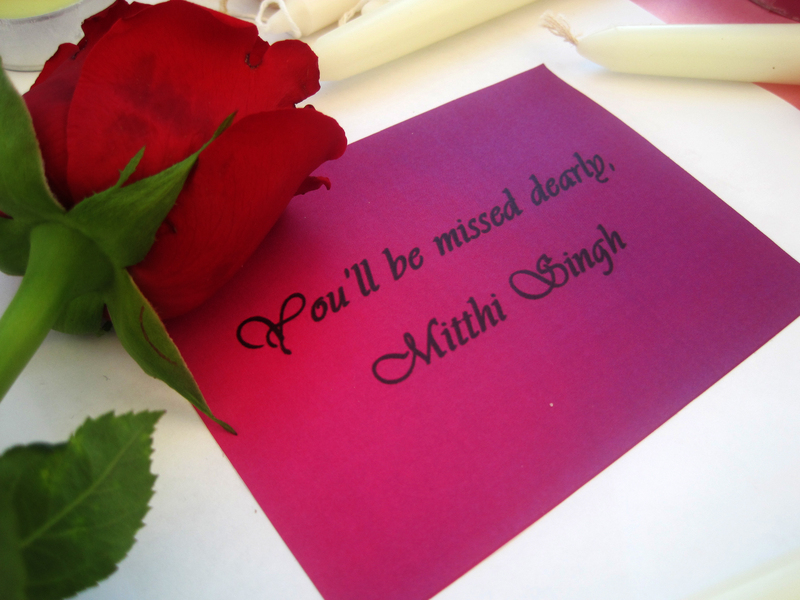 Mitthi was my classmate for a little more than two years at Manipal University, Dubai while Maryam was a new acquaintance that I really hoped to get to know better. This isn’t my first draft, I’ve written this post a number of times but none of the words I write seem right or seem good enough to capture how I feel and how much I miss seeing their faces on campus. I really don’t know what to say but I know they will always be in my heart and be more than just a passing memory. 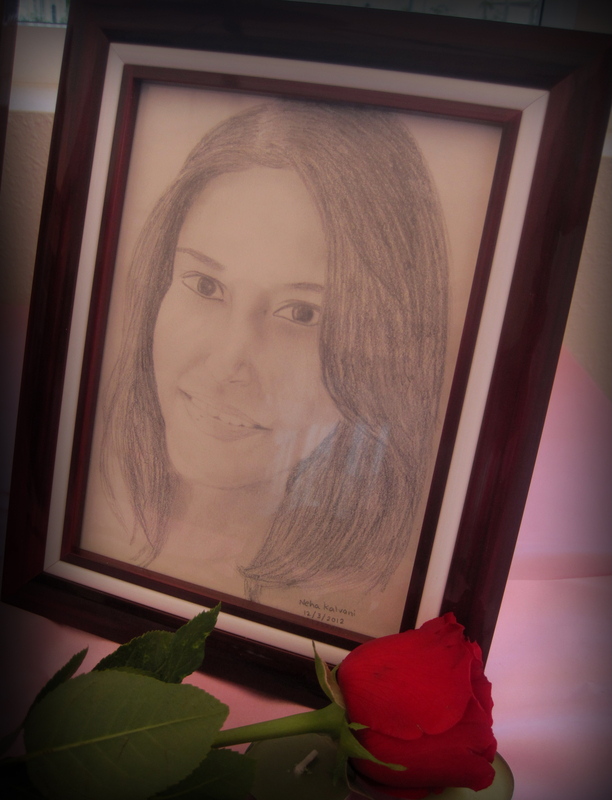 As a tribute to Mitthi, I drew her portrait for her and her parents although its not as perfect as she was and never will be. 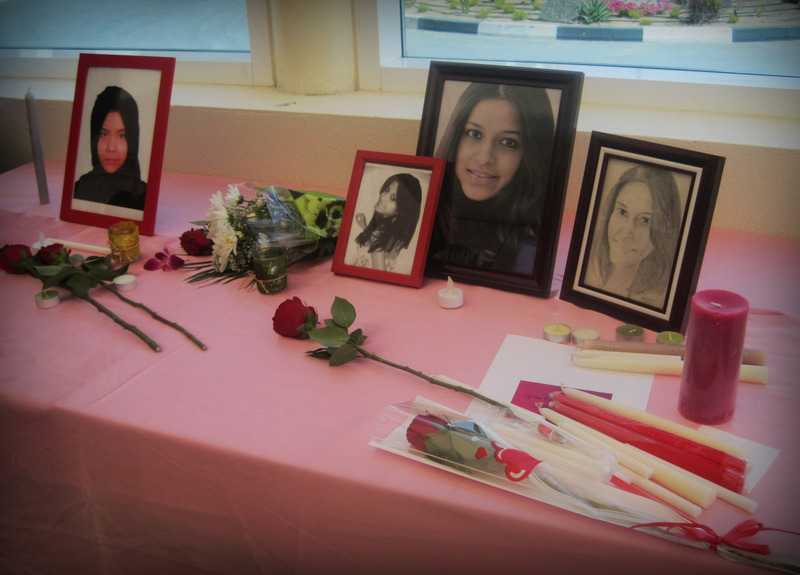 We had a memorial in our university on Thursday, 15th March 2012 where friends and faculty paid their respect, prayers and condolences. 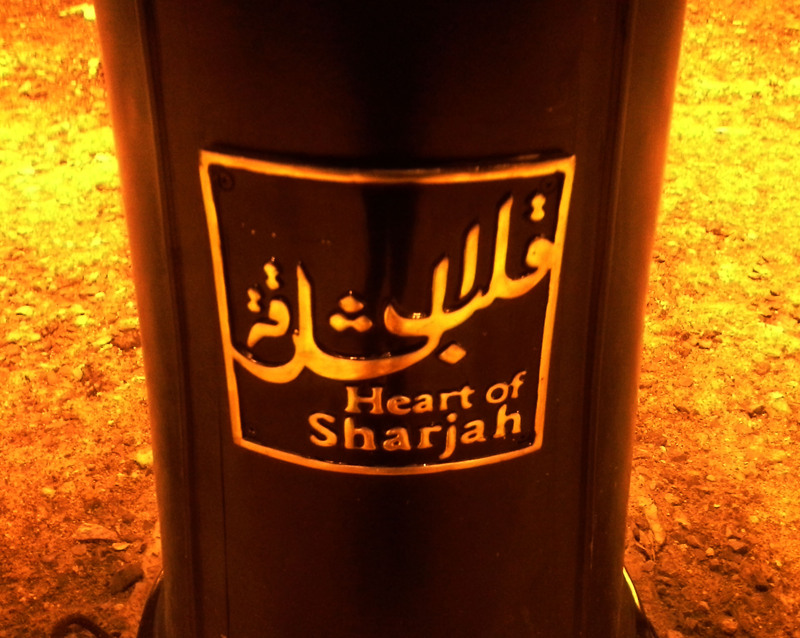 This year the Sharjah Light Festival took place between 9th February to 17th February, today being the last day. Here’s a clip of the light show I liked best from the 10 minute automated 3D video and laser installation that plays on a loop from 7pm-11pm. This is a creation by Limelight Projection at Al Hisn Sharjah Fort who captured the essence of the Arab architecture and culture wonderfully. This was shot on Wednesday, 15th February 2012. To encourage her, I’ve created this logo that describes her perfectly and her blog which she calls Foodaholic kids because she hopes that one day her blog will invite all kids just like her to share recipes and the love for food! She’s a red-head who loves pink and won’t stop watching, reading, cooking and eating food!!!! ALL FOODIES BE WARNED, we have a new kid on the block.